to use for this software product. There are two reasons for this message. You really have exceeded the number of licensed workstations you purchased. If this is the case, you can contact us about purchasing additional licenses. 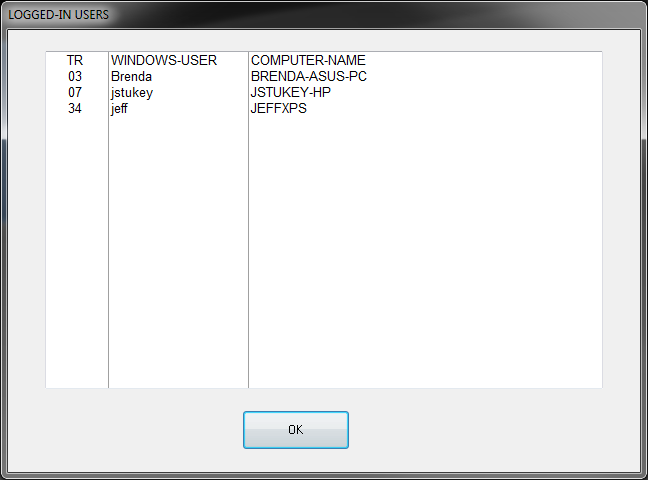 The server may not be aware that workstations have disconnected and has an incorrect count. If this is the case, restarting the server is the best solution, but you can also try closing sessions and resetting Remote Desktop users (both discussed below). 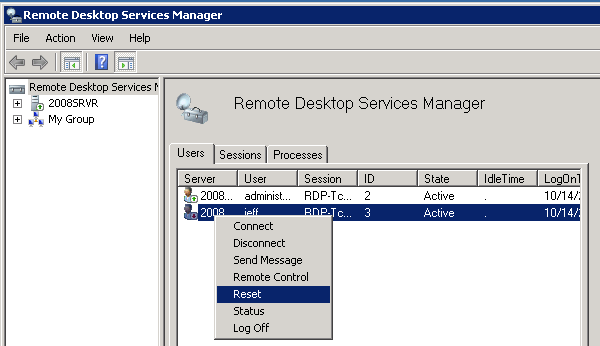 In a Remote Desktop Services environment, your RDS settings may keep the software running for an indefinite amount of time in the event of a disconnect, using one of your licenses even though nobody is really using it. To verify the number of licenses and logged in workstations, you can use another terminal to check who the server thinks is using your terminal number. Click Help > About. 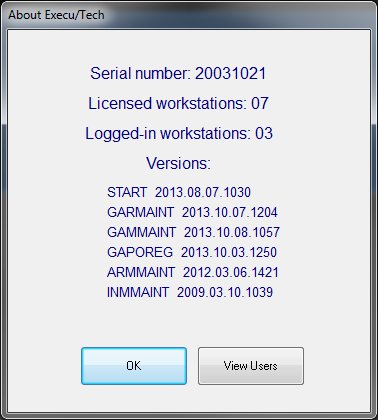 Licensed workstations revers to concurrent logged in workstations. For example, if you have 10 licenses, you can install the software on 20 workstations, but only 10 will be able to run at the same time. This is useful if you have employees that have their own computers and work different hours. They could use a single license as long as they don't use the software at the same time.